Welcome to Think Outside the Stacks. March and April are my least favorite time of year, but we're halfway through so that's something at least. As always I love to hear feedback and suggestions for content at saxton.elizabeth@gmail.com or @BethReads on Twitter. Press Here is my go-to gift book for little people and this is a great list of similar books. My holds list just got a lot bigger. A great list of rhyming books old and new. Great for phonological awareness and a fun display idea. An entire session's worth of music activities including ways to use balloons as props. There are lots of ways to incorporate this at the library. I've done similar things as a program that had teens decorate a "Journal Jar" and fill it with prompts I've provided. You could keep it around for your after school crowd who need something to do, or you could offer it as a suggestion to parents who want to keep their children writing over summer vacation. Take a peek into Disney's animation research library, which is actually more of an archive. 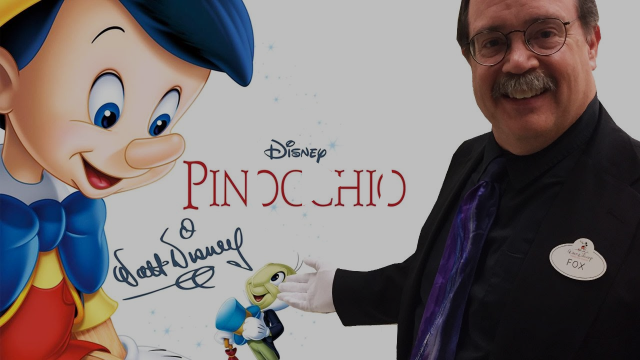 Disney’s animators can visit in person or access the ever-growing digital database. They could look up a frame-by-frame collection of a particular sequence or study any and all pieces related to characters dancing. Now that's a worthy digitization project! Detention centers, especially private ones, are basically dorm-prisons. Adriana tells the story of her stay. Tom Angleberger talks about how he would not have his career if it wasn't for aspects of his Asperger's. This seems like a fun one, and a good project for some bored tweens and teens. Have a session to make the googly eyes and then have them get creative about placement in or out of the library. You might consider grabbing a few pictures of their creativity for social media. If you are a solo Youth Services person what happens in the summer when you aren't there? Nothing? Or, if you're lucky there is another staff member who will run a simple program for you. Here is a totally easy program - a coloring party. You don't have to glam it up this much, but a dollar store table cloth and white plastic cups might make it seem more eventful. Riazi discusses her debut The Gauntlet, where a Muslim girl enters a dangerous board game to save her little brother. I've had the pleasure of reading this one and I highly recommend it. Yes, it's important representation, but it's also just a good read. Most of us are trying to do more with less time. Here are five different ways of looking at your time with links to investigate further. I'm a fan of the Pomodoro Method myself. An interesting look at small museums, but I'm thinking of it more in terms of those of you who work at libraries with small special (in the traditional sense or in the ukulele and toy sense) or local interest collections and how you can promote them with storytelling. A nice twist on the classic alka-seltzer rockets. You could do this with older kids by letting them decorate the eggs that are going to be "blown-up" to be as cute or monstrous as possible. Some inspiration for those of you planning to decorate in a construction related theme for Build a Better World. This inexpensive project has really cool results. I think it would appeal to a variety of ages as well. If you have kids that want to do more than one rock you might collect the extras to complement a "Books that Rock" display if you like bad puns as much as I do. This is it for the week, I can't top this one. Little Delta Rose had a taco smash picture session and it's hilarious.